Chris Froome returns to lead Team Sky at the Volta a Catalunya on Monday after an enforced short break from racing due to a niggling back injury. Now recovered, Froome leads a strong Sky line-up in the hilly seven-stage WorldTour race, joining Giro d’Italia hopeful Richie Porte along with David Lopez, Vasil Kiryienka, Nathan Earle, Mikel Nieve, Danny Pate and Kanstantsin Siutsou. It’s also Porte’s first race back after withdrawing from Tirreno-Adriatico with a stomach upset. Bradley Wiggins – fifth overall last year – had been originally mooted as part of Sky’s Catalunya roster, but will skip the race to complete a training block ahead of his assault on Paris-Roubaix (April 13). Since winning the Tour of Oman with Froome in February, Sky has suffered mixed fortunes in early-season stage races. Along with Porte’s withdrawal from Tirreno, Geraint Thomas crashed out of Paris-Nice whilst in second place overall having previously led the race. Ben Swift gave the team something to celebrate at Milan-San Remo on Sunday, placing third behind Alexander Kristoff (Katusha) and Fabian Cancellara (Trek Factory Racing). After suffering his own injury problems last season, the 26-year-old Rotherham man’s podium spot in San Remo after 300km of gruelling racing signals a return to top form. Froome and Porte will face stiff opposition in the Volta a Catalunya, not least from defending 2013 champion Daniel Martin (Garmin-Sharp). Also on the start line will be strong favourites Joaquim Rodriguez (Katusha), Alberto Contador (Tinkoff-Saxo), Carlos Betancur (Ag2r), former Sky team-mate Rigoberto Uran (Omega Pharma-QuickStep) and Nairo Quintana (Movistar). Every stage features at least one categorised climb, with stages three and four including ascents to the finish line – the latter to Vallter 2000 will have a particular effect on the overall classification. With no individual time trial, it’s a race for the climbers – and one in which Grand Tour hopefuls can gauge the form of both themselves and their rivals. 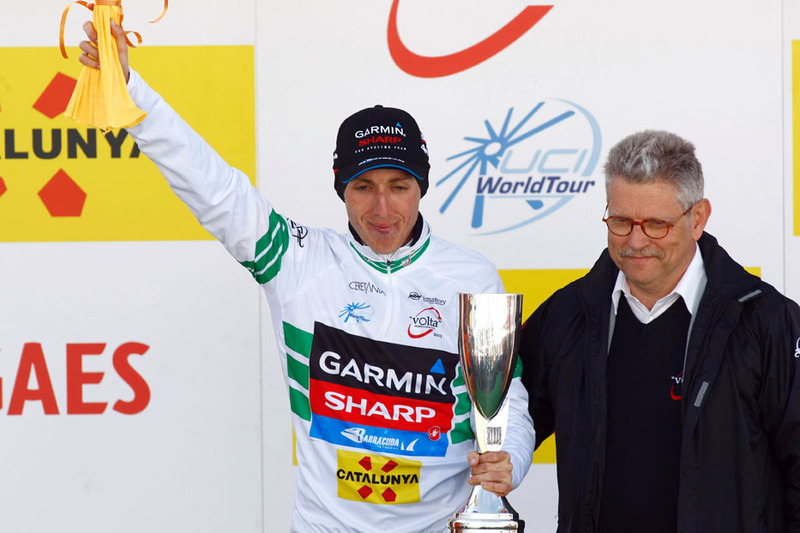 Digital and satellite channel British Eurosport will be broadcasting live coverage and highlights during the 2014 Volta a Catalunya. Schedule may be subject to change.